With our spacious two bed room private suites, convenient location, great service, and affordability, the Residence & Conference Centre is the place to stay! Also an ideal Vaughan hotel alternative, RCC caters to all group travellers. We especially offer great sports team accommodation, wedding party accommodations, religious retreats, tour group accommodations and more. We are located close to many great Toronto attractions including Canada’s Wonderland, Reptilia Toronto reptile zoo, Black Creek Pioneer Village, Vaughn Mills Fashion and Outlets Mall and more. 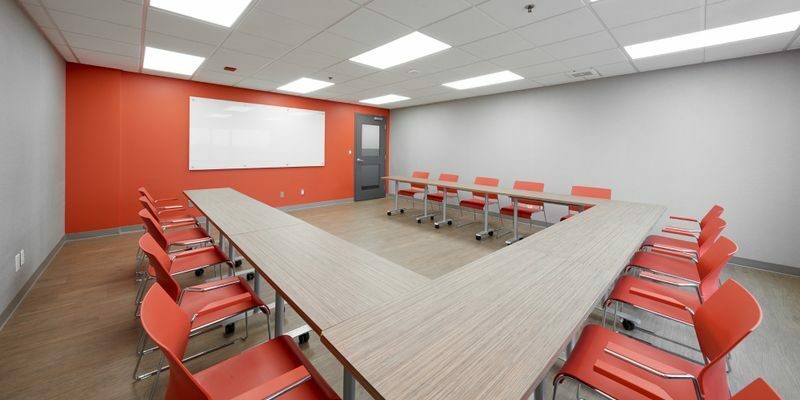 We offer two great conference rooms on site as well as access to many of the college’s spacious classrooms that can accommodate between 10 to 250 people. Make your next meeting, event, retreat. or banquet complete with the convenience of our onsite catering services. Contact us to find out more about planning your next event effortless.